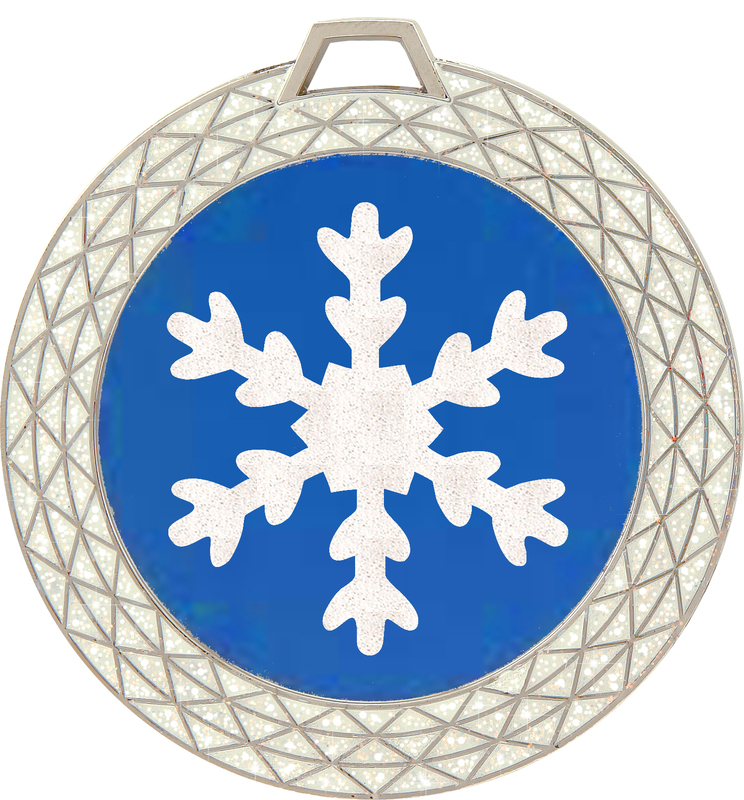 White bling medal. Blue insert with white glitter snowflake. Includes engraving on back of medal and free white neck ribbon. Click the button below to add the Clearance - Discontinued White Bling medal with blue insert and white glitter snowflake. 2 3/4" diameter. Includes free engraving on back of medal and white neck ribbon. (003) to your wish list.